Sheldon Allan Silverstein, better known as Shel Silverstein, was an American poet, singer, songwriter, cartoonist, screenwriter and author of children's books. I mean, talk about a multi-faceted guy, am I right? However, it shouldn't be that much of a shock that he could do all these things because all of these facets have one thing in common: They tell a sacred story. 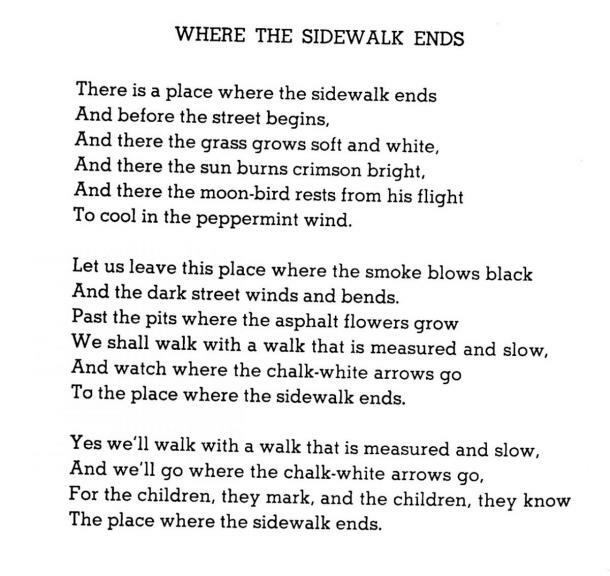 Shel Silverstein is best-known for his collection of children's writings, with Where the Sidewalk Ends, a collection of poetry, and The Giving Tree, being the most famous. His works warm our hearts with life and moral lessons. And his words take us on a visual journey of every aspect of what it means to be a human — at all ages and stages. We're able to identify with the characters he so wittingly describes; his descriptions not only tend to rhyme, but the alliteration becomes a rhythmic tune that we can't help but sing along to. The greatest lesson Shel Silverstein taught us is that although our bodies may physically age, our souls will always be like a child who yearns to be heard and nurtured. The (sometimes dark) lessons are always masked behind loud and bright images that speak to all ages. Whether you are 5 or 35, his work will give you a new perspective, every time. Check out these 20 quotes from Where the Sidewalk Ends and other Shel Silverstein works, and let them remind you of a simpler time with simple pleasures.